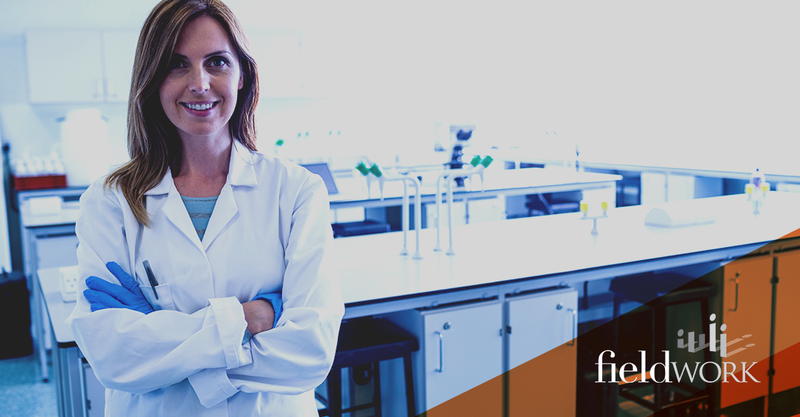 One of the most rapidly progressing industries we work with here at Fieldwork is medical research. With needs exceeding standard database searches and requiring the utmost privacy for both patient and client confidentiality, we are able to deliver the elaborate services medical researchers require. Medical research spans the gamut between pharmaceutical studies to branding for a new physician's clinic. Some data is very sensitive in nature, requiring recruitment security. Many studies require hard-to-find focus group respondents. All of the research must be top notch. 1. We offer extensive medical databases. When we say that we track a LOT of respondents and details in our databases, that is an understatement. Many market research firms track the specialty of medical professionals in their files. We, on the other hand, extend that knowledge to include sub-specialties, education (levels and origin), the number of years in practice and past participation. We can deliver the most qualified experts for your study -- which means the difference between a mediocre response and one that ensures project success. 2. Our recruiters are local and specialized. We have senior recruiters dedicated to only medical research. Apart from being the experts themselves, they are versed in medical lingo, familiar with the local medical community and network to find the best candidates possible. They aren't just pulling up information from a database -- they know the medical industry and what it takes to pull off a specialized study. 3. Fieldworkers go beyond our databases. Because our Fieldworkers build relationships with our experts in the database, medical professionals often send potential respondents to us. For instance, a doctor may refer his patients for a particular study that we are recruiting for, based on the trust and foundation built from working together on another project. Many physicians will recommend other doctors or nurses as future respondents. We build a solid foundation that helps to grow our specialized databases. 4. We can back up recruitment efforts with our national database. There are times when a study is so focused that finding respondents is like looking for a needle in a haystack, only discovering a few qualified candidates. When this occurs, we turn to our national database to pull numbers from multiple markets. 5. Our recruitment security and confidentiality efforts are essential elements of our services. From respondent privacy to focus group confidentiality to security for your proprietary details/materials/products, we deliver. We monitor and limit access to our buildings, protect your information on our servers and ensure that your secrets are safe with us! Want to get in touch with the experts at Fieldwork? Click here to contact us!